The article aims to shed new light on the so-called Epistolary of the ‘Pseudo-Boniface’, a literary work of great historical interest written in Latin during Late Antiquity and consisting in a spurious correspondence between Count Boniface and Saint Augustine, the last two renowned figures of the Romano-African civilization. 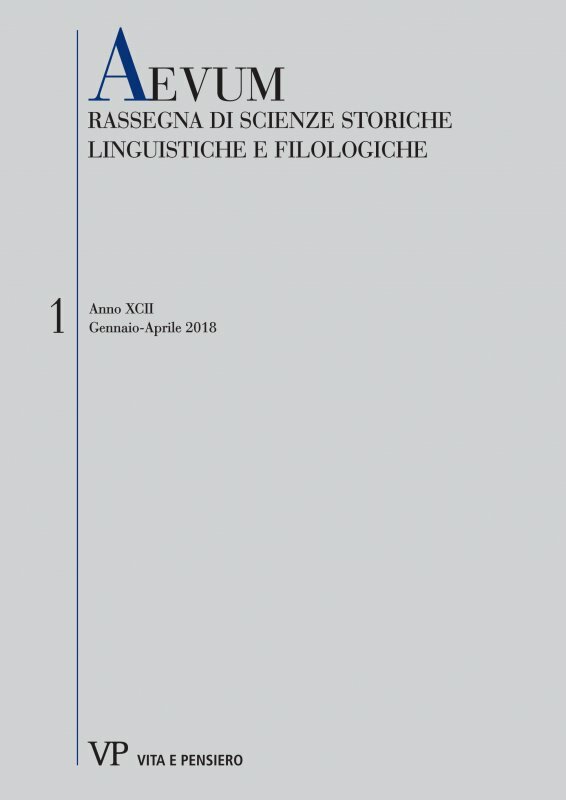 Surprisingly ignored, in general, by historiography and philology, the Epistolary is brought to the reader’s attention in its first Italian translation, together with a rigorous historical commentary and an innovative interpretation about its dating and writing context, without neglecting a close analysis of the authentic purposes which inspired the anonymous forger in conceiving his elaborate fiction. African diocese, Count Boniface, Saint Augustine, Count Sigisvult, Castinus, Saint Stephen’s relics, Vandalic invasion.